SO... I started this motorcycle (Harley) project for a friend from work, Larry. Larry suggested lots of motorcycle cards for Harley events. During my leave of absence from work, I came up with 9 designs. 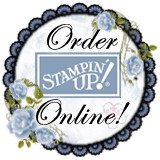 I made a sample of each design for reference and have been very busy stampin and stampin motorcycles. Tony saw these 9 samples and thought the guys at work would love them! Then Tony thought taking them to NHRA next weekend would be a great place to display (sell) them. This weekend has been spent making motorcycle cards! Here's batch #2 of 9.